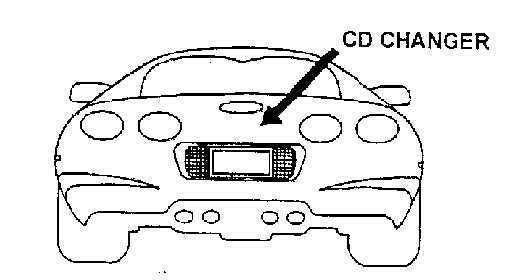 This document outlines the installation of the GM Accessories 12 Disc CD Changer for a C5 Corvette. The following is some additional information that I came across during the installation of a CD Changer in my 2000 convertible. There are several wiring harnesses available. My '98 harness had one four (4) wire plug and three (3) individual wires. The three individual wires are are in a single plug for 2000 (not sure what is used on '99s). To accomodate the '98 harness in a 2000, simply splice the orange green and black/white wires into the existing three (3) wire plug, aligning the colors. My install kit was different from that described in the instructions below (generic instructions given below). My install kit had two (2) flat metal pieces with bolts already attached to them. No need for drilling, epoxy or sanding. Inserting the metal brackets into the rear tub was very difficult. Not much area to work in. I used a grinder to shorten the bolts and the job went much easier. I ground a little over 1/4" off the bolts. My back tub had holes already pre-drilled. Highly recommend wiring the changer (temporarily) to the radio BEFORE installing anything. Make sure your harness and changer are working first. 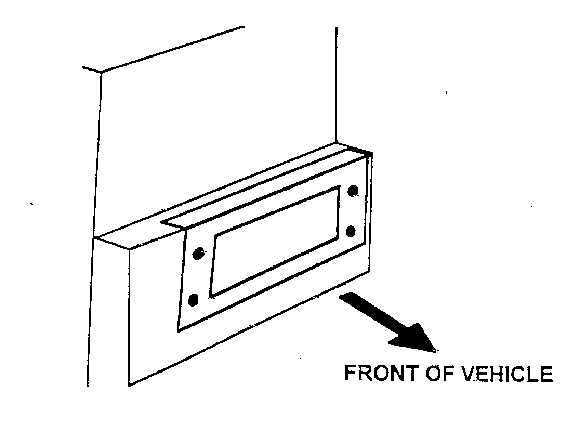 When you open the CD Changer door, the magazine will automatically eject. If this does not happen, DO NOT force the magazine out of the changer. In most cases the changer door is broken as the "door open" switch is not being tripped. Get the unit serviced or fix it yourself. When running the harness there is not much extra wire. Follow the instructions below as to how/where to run the wire. 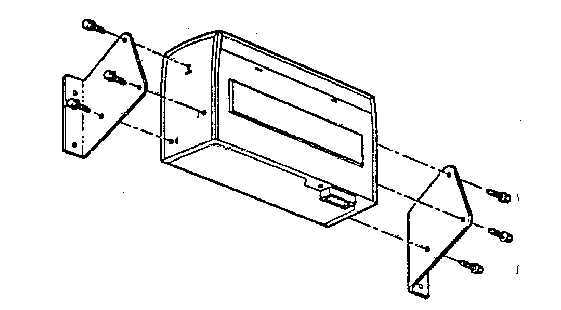 The bracket is to be installed in the rear stowage compartment (tub) in the trunk of the vehicle. See diagram below. Remove the rear panel for the center stowage compartment (tub). 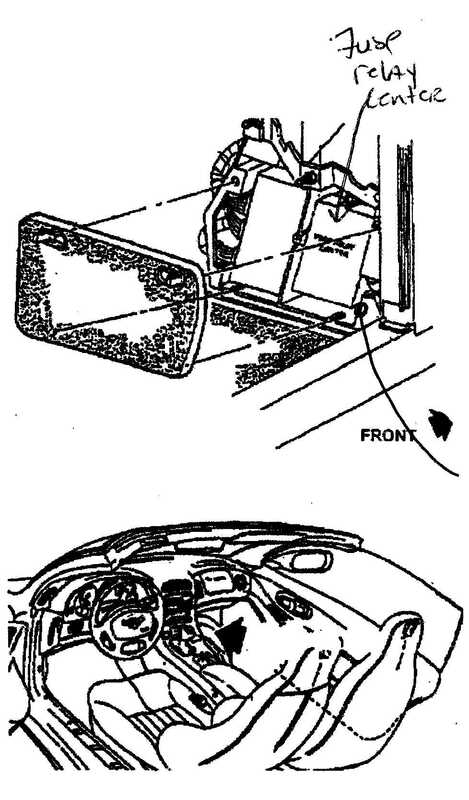 Remove the side rear trim panels of carpet (see diagram below). Pull back the carpet trim in the center stowage area (tub) to expose the back fiberglass wall of the reat tub. Hand the CD bracket on the lip of the rear tub and align the left edge of the bracket with the left edge of the tub wall (driver's side edge). See diagram below. Using the bracket as a template mark the 4 holes of the bracket onto the the fiberglass of the rear tub. Remove the bracket and drill the marked holes with a 1/8" drill bit, drill holes slightly bigger than 1/8" to be able to fit the 1/8" rivets. Careful - don't drill the holes too deep, you only need to go through the tubs fiberglass. Using 80 grit sand paper, lightly sand both both the rear fiberglass tub and the bracket so that they are lightly scuffed and ready for the epoxy. Using the structural bondy epoxy, generously apply the epoxy to the back side of the bracket. Replace the bracket onto the lip of the tub so that the drilled holes match up to the holes of the CD brakcet. Using the rivets, apply a small amount of pipe sealant to each rivet and rivet the bracket onto the rear tub at the 4 hole locations. NOTE: Epoxy must be heat cured at 180 F for 15 - 20 minutes for the best adhesion and fastest cure. NOTE: Do not continue with CD brakcet installation until the Epoxy has fully cured. 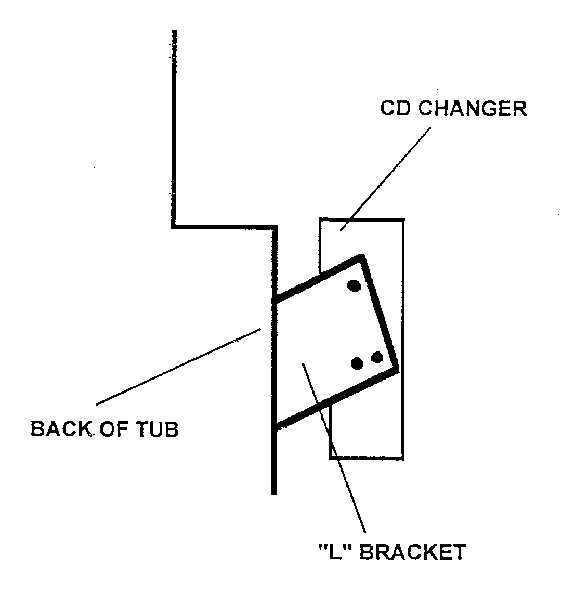 Assemble the provided "L" brackets and bolt to the CD Changer as shown in the diagram below. Using the provided 10mm nuts, fasten the "L" brackets of the CD Changer to the threaded studs on the bracket epoxied to the back of the rear tub. 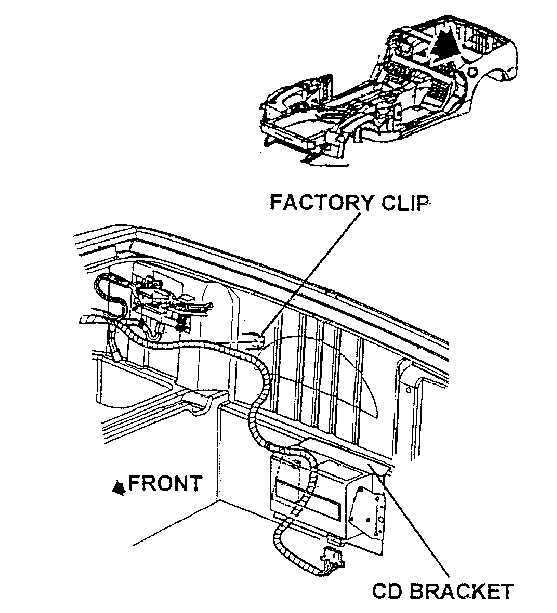 The wiring harness will electrically connect the CD Changer to the Corvette's body harness. Connect the 10 pin connector of the harness provided to the bottom of the CD changer. Note: You will route the harness from the rear of the vehicle to the front of the vehicle, along the passenger side. 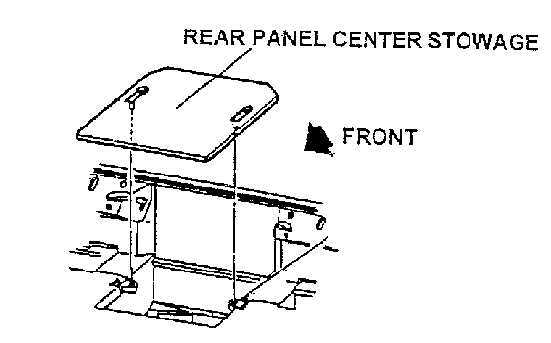 Route the CD changer harness around the rear passenger corner of the trunk and towards the front of the vehicle. 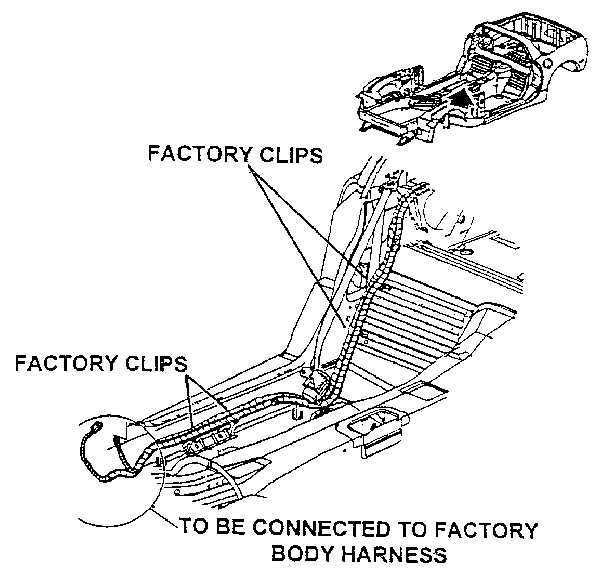 NOTE: Route supplied harness with the factory harness and secure both of the harnesses in the factory clips (see diagram below). 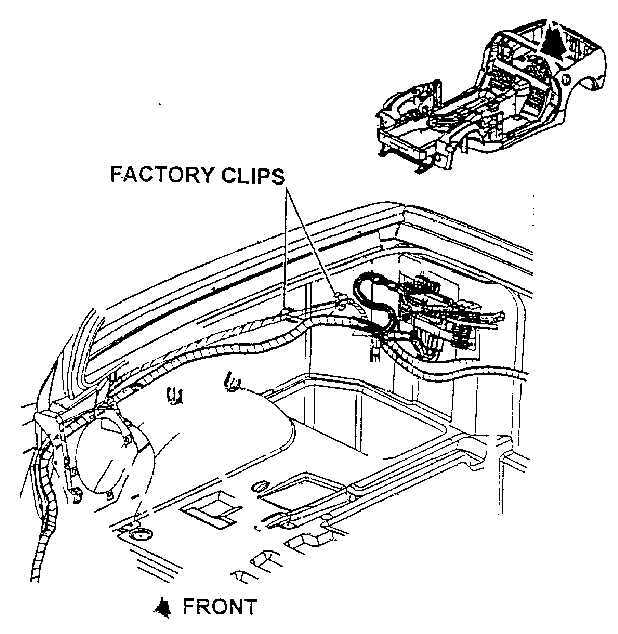 Continue to route the CD changer harness along the passenger side of the vehicle with the factory harness, securing it in place with the factory clips (see diagrams below). NOTE: Make sure the CD harness is routed properly around the seat belt prestenioner so that it does not interfere with the seatbelt operation. 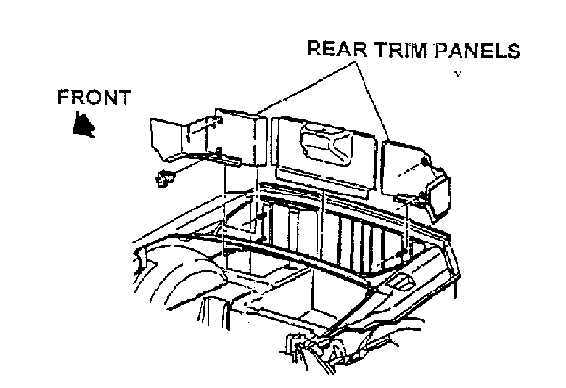 Remove the floor carpet trim panel for the fues panel under the passenger side of the instrument panel area (see diagram below). Pull back carpet trim around the fuse panel and locate the 2 factory connectors. NOTE: One connector is taped to the harness, the other connector is clipped to the metal bracket below and to the right of the fuse box. Author's Note: The four (4) wire connector is pointed away from you (opening). Three (3) wire plug has white tape and is pointed back at you on the same harness. Pull the carpet away by the kick panel to expose wire. Connect the supplied CD Changer harness to the factory body harness 3-way and 4-way male connectors. Turning the vehicles ignition switch to Accesssory. Turning on the vehicles radio and playing the CD. NOTE: See owners manual for 12 Disc CD Changer for more information on controlling the changers operations through the vehicles radio. When replacing the trim for the rear center stowage area (tub) slit the carpet trim with a carpet razor so that the carpet fits around the "L" brackets. Make sure that you have a copy of the 12 Disc CD Changer owners manual.